Tonight, briefly, a closeup of some very big yarn. Although I am comfortable picking (also called continental) now, for this super bulky yarn I found I got better leverage throwing. 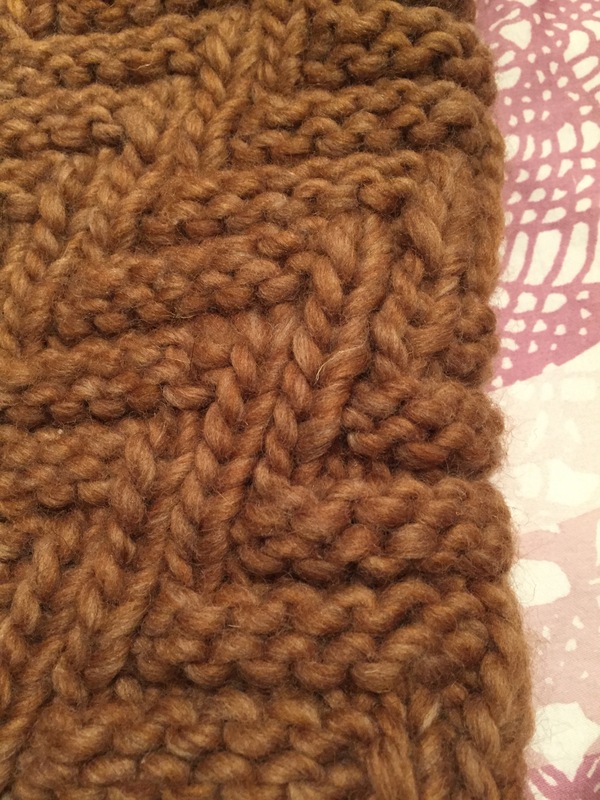 What are your strategies for knitting with bulky yarn? I use Portuguese knitting for bulky yarn. Easier on my hands and wriststhan my normal throwing.. Thanks for the tip, Marsha! I hadn’t heard of Portuguese knitting and had to look it up. It looks like it could be really fun to try!